We are thrilled to share the news of the launch of our new advertising campaign! We just launched “800 Pieces”, which focuses on the heart of a vehicle: the transmission. It is like nothing we have done before. 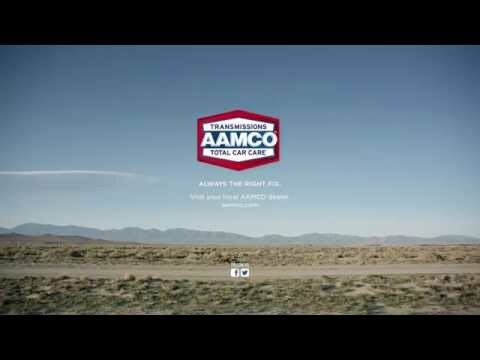 The ad features the transmission – the most complicated part of the vehicle – and delivers the message that if AAMCO can fix the transmission, it can fix any part of a vehicle. Most people don’t know that their car’s transmission is made up of over 800 pieces. Nor do they know how many things can make their “check engine” light come on, or even how their brakes work, but they will after seeing AAMCO’s new advertising campaign. The “800 Pieces” campaign is educational and combines computer-generated imagery (CGI) with live action footage. Four different television spots show an AAMCO technician on a deserted road while he details technical issues that occur within a vehicle such as the transmission, brakes, “check engine” light and Total Car Care. We see each car part floating in the air, which then splits into hundreds of pieces. As the AAMCO technician diagnoses the problem, he pushes the pieces back together until the part and the car are rebuilt. The “800 Pieces” spots can be viewed here: https://www.youtube.com/AAMCOCarCare. Stay tuned for the second campaign, which showcases humor, and will debut before the end of the year!